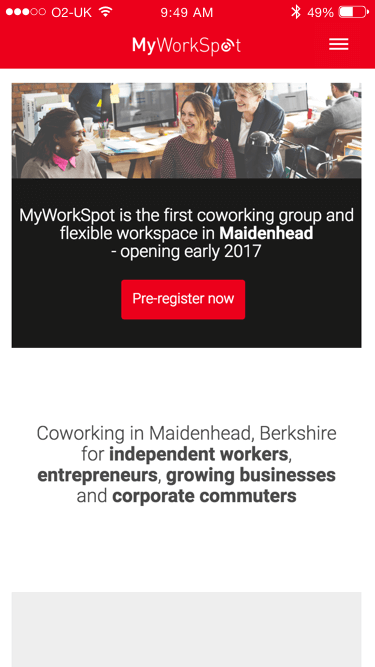 MyWorkSpot is a startup venture providing coworking office space – initially in Maidenhead. The site needed to present the office space and facilities available together with pricing and other information. Primarily designed as a lead-generation and awareness website, it also includes a blog and a number of other resources to support MyWorkSpot’s marking activities. 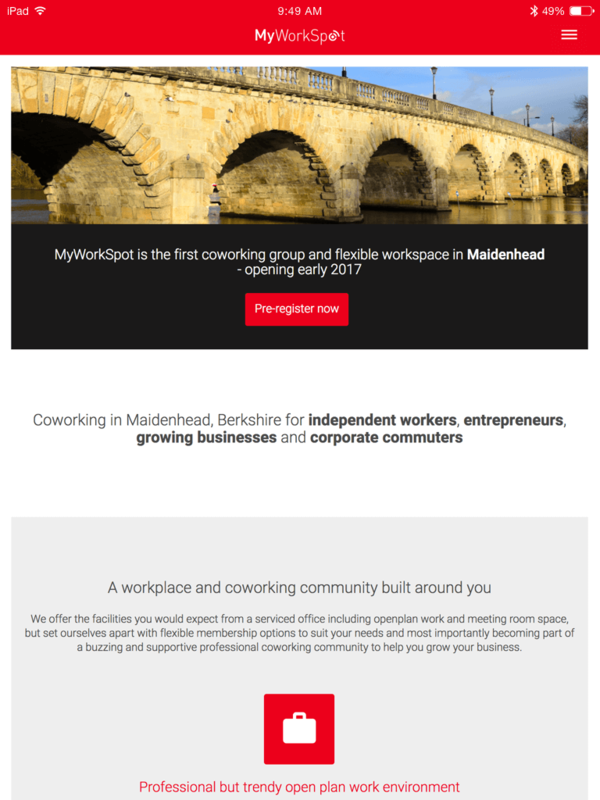 The MyWorkSpot logo already existed but I used this to inspire a wider design which informed the styling of the website. The site is a bespoke theme created for WordPress for ease of use by the client to keep their site updated as the business grows and evolves.